The CBL31 WLS is a professional boundary layer microphone for wireless use. It is based on a heavy duty tabletop mechanics and includes the well-known cardioid capsule CK31 from the DAM Series. Due to its heavy weight it is very well shock absorbing and holds the microphone firm on place. 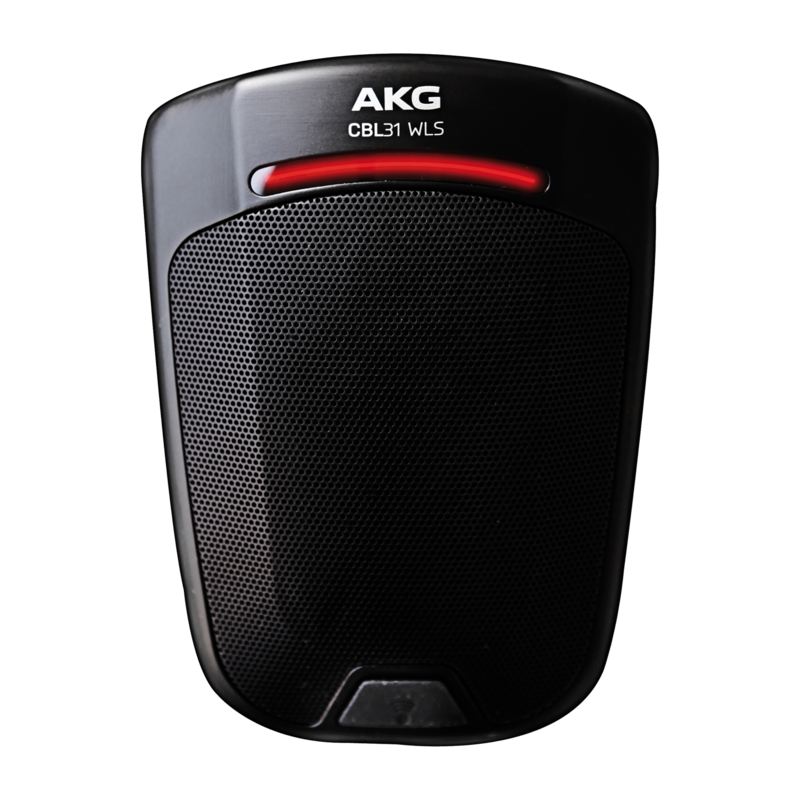 Various AKG pocket transmitters fit into the housing to transform the station into a complete wireless solution. A rugged mute switch (more than 25.000 switching cycles) controls the microphone and an LED bar to clearly show the status. A 3.5 mm input jack plug allows connection of either up to 4x AKG CBL410 or a laptop to transmit the audio signal of a presenter to the local PA system.